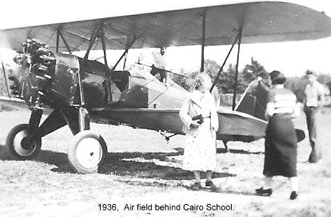 Cairo’s central location in the county made it an ideal place for an airfield. With the return of American pilots from WWI, residents and visitors were treated to exciting rides with spectacular mountain and river vistas. Former members of Eddie Rickenbacher’s Hat-in-Ring squadron, not only barnstormed up and down the valley, but flew mail and supplies into the mountain towns and remote areas of the Catskill Park.